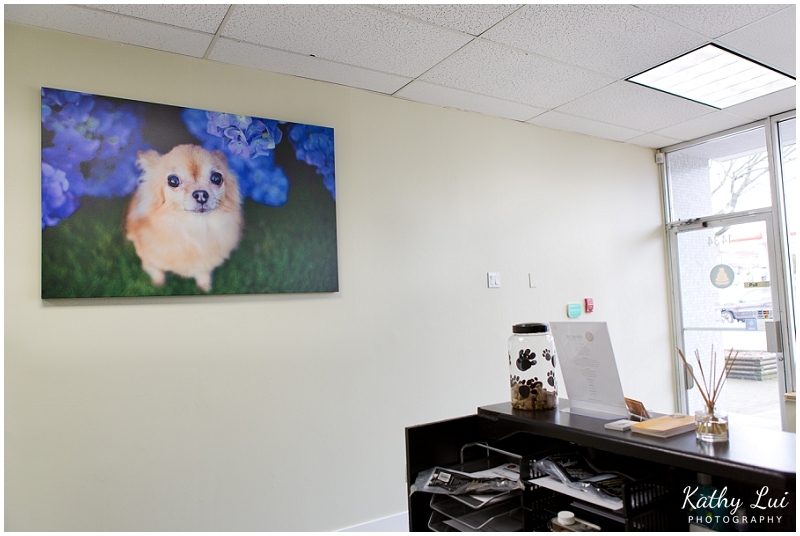 Over the weekend, I installed four big canvases at Dharma Dog Daycare. Well, to give credit where credit is due, I supervised while my fiance did the manual labor. He did a perfect job. Thanks so much, J! Two 20×30 canvases + one 30×40 canvas in the center. On the other side sits a gigantic 40×60 canvas. When it comes to wall art, bigger is almost always better! 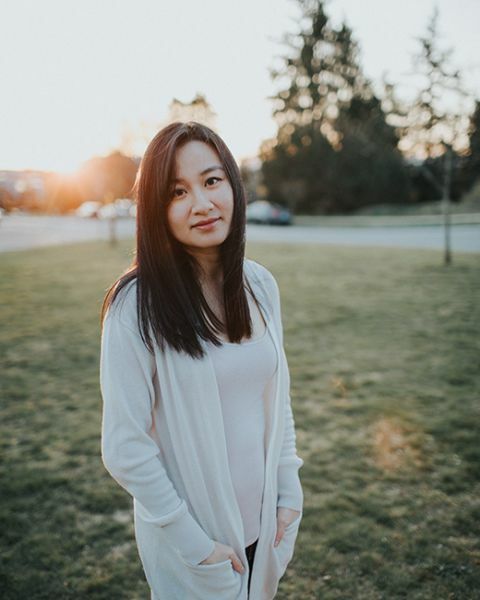 Dharma Dog is a brand new Vancouver daycare that focuses on providing a stress-free environment for your dog’s stay. It is owned by Nik and Joanne Fabisiak. Nik himself is a certified canine behavior therapist, so you can rest assured that your dog will be in good hands. 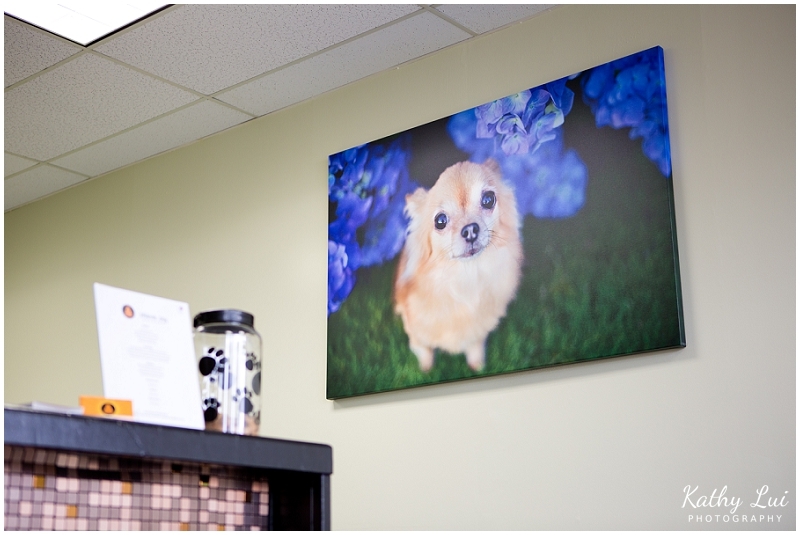 It was clear from our very first meeting that Nik and Joanne both care a lot about their clients and their dogs. The interior colors and music that plays softly in the background are both supposed to contribute to a stress-free experience. They thought of everything! 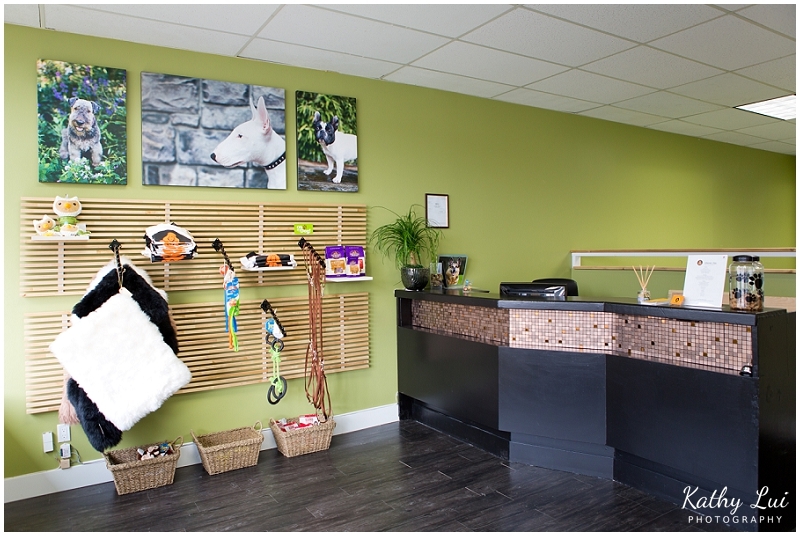 In addition to daycare, they offer dog grooming and walking as well, with more services to come in the near future.